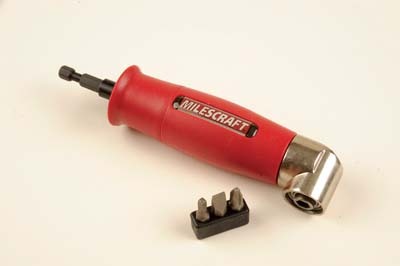 Milescraft, the tool manufacturer from the USA, has come up with several interesting and potentially useful gadgets that you can use around the workshop or on site. This is a heavy, and heavy-duty, 90° angle drive for drilling into awkward spaces. Most on the market are more obtusely angled than this one, which makes more sense when you have to access tricky locations. It features three bearings for longer life and a hex drive shaft and socket for standard bits. The only thing it really lacks is a fin-shaped handgrip to resist twisting while under load. It comes with a bonus set of three short driver bits. Very nice it is too. 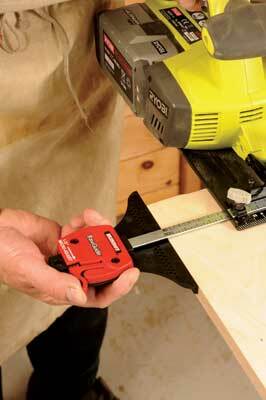 This crafty gadget gives you an element of control over the width setting of cuts with a circular saw or jigsaw. 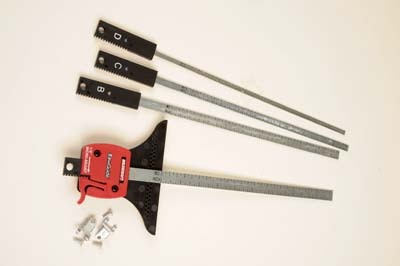 Choose the bar size that fits your tool and slide the guide onto it. A thumb lever is depressed so the guide can slide back and forth to engage in teeth on the bar. This avoids resetting a standard fence where it fits into the baseplate of the tool, instead making the adjustment at the fence or guide end. 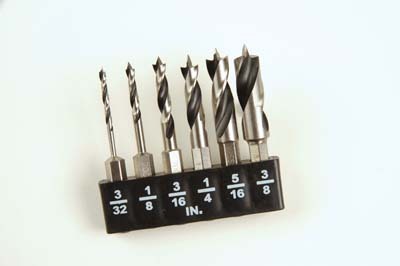 It is accurate to 1â„8in, which isnâ€™t that precise, but then a simple fence never will be and a jigsaw never is! It has a series of pinholes so you can use a nail to turn it into a trammel.